D-Day at Hardway No history of Hardway would be complete without a reference to the embarkations of the Allied Forces from Hardway. This much abridged account by David Maber, is from his fascinating book, on sale at local bookshops. 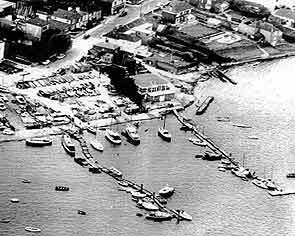 Embarkation of troops and their vehicles forming part of Operation Overlord took place at three locations in Gosport, Stokes Bay, Beach Street and at Hardway. Hardway was chosen to accommodate the large Landing Ship Tanks because of its sheltered location and its proximity to an access road avoiding the town centre. On the 22nd of May 1944 King George VI, Prime Minister Winston Churchill and Field Marshall Bernard Montgomery undertook a tour of embarkation sites that included Hardway; at that time the streets of Gosport were empty, however, around the 1st of June a variety of tanks, DUKWs, lorries, jeeps together with thousands of troops poured into the town and many roads in Hardway accommodated two rows of these vehicles with their attendant crews. Engines of vehicles were switched off and the troops were able to relax for a couple of days. 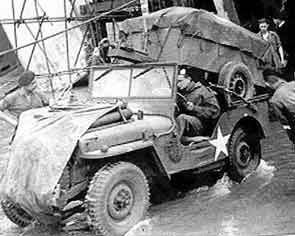 On the 3rd of June 1944 LST’s arrived at the prepared Hardway Ramp and loading of vehicles and men proceeded; the vehicles reversing aboard to allow of a quick exit at their predetermined beach on the coast of France. 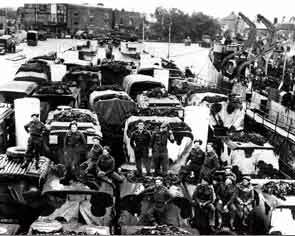 Night and day troops and vehicles loaded and departed from Hardway to join the invasion force, this hectic activity continued through to September 1944 when captured ports such as Antwerp allowed reinforcements and supplies to be routed from London and other nearer south-eastern ports. The Hardway ramp had served its strategic purpose and was now on relegated to embarking food and medicines to the starving of Europe. 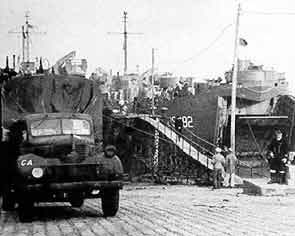 Of the 203 British and American LST’s involved in Operation Overlord 192 of them were loaded at the Hardway Ramp, most undertook repeat journeys to the Normandy beaches. Many thousands of prisoners were disembarked at Hardway to then march to a holding camp in Mill Lane or directly to the railway station. Forewarned, fourteen ambulances would be lined up on the ramp to receive the wounded brought back by LST’s; they would be transferred to whichever hospital was appropriate to their wounds. 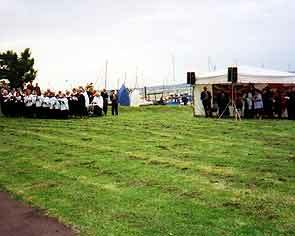 Soldiers who died on their journey to Hardway were temporarily laid out on the lawn of Hardway House opposite the ramp. 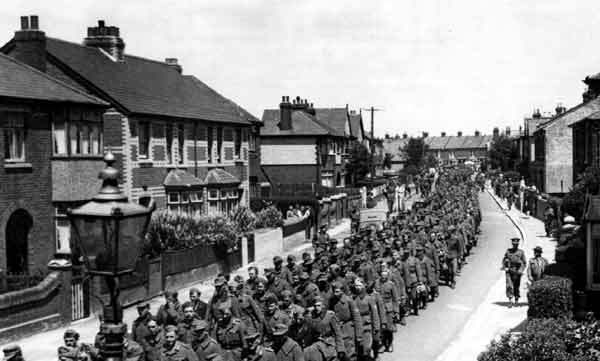 German Prisoners of War being escorted past the railway crossing in Grove Road on their way to the railway station, before being transported on for internment. One of our more famous Rotarians, Reg Coates, was a motor cycle dispatch rider during the D Day embarkations, and to celebrate the 50th Anniversary he dressed up in original costume to re-enact his duties around Hardway. The Hardway ramp served to embark British and Canadian regiments. At a ceremony held close to the ramp on the 50th anniversary of D-Day, the Canadian High Commissioner donated a plaque expressing appreciation for the kindness of Hardway residents to the embarking Canadian troops. 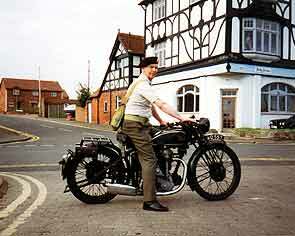 For details of his book on D-Day at Gosport and Hardway click here. A Royal Air Force Vulcan Bomber plane attacked Port Stanley (Falkland Islands), 12,875 kilometres away from Britain!